1. September returns a serious tone to the calendar and recent world market volatility adds to the sobriety. With vacations over we buckle down to the work of a new academic year in our evolving academic medical center. The fiscal year has already been in play for 2 months and the numbers look good so far. The UMMG is a multispecialty group practice of more than 2000 faculty with many other providers and staff in well over a hundred specialties and areas of precisely detailed expertise. 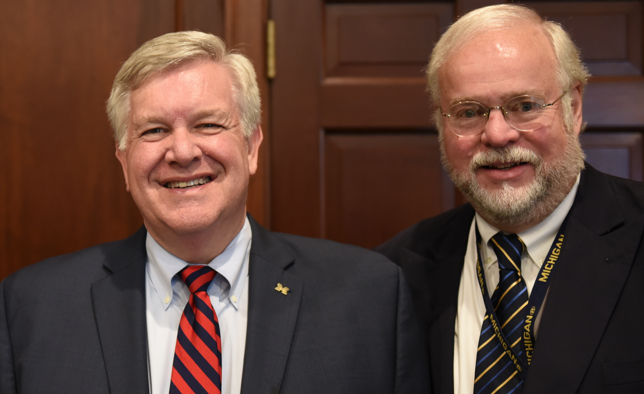 The coordination of all these practices among our clinical departments and within our health system at Michigan is a work in progress – and the progress is good. As large as we are, however, we are too small to fulfill the expectations of the patient population we serve today and too small for our research and educational aspirations for tomorrow. Given a steady increase in clinical volume of 6% a year for many years, without infrastructure growth to match, we find ourselves deficient today in terms of clinic facilities, hospital beds, operating rooms (12 short by recent analysis of our daily needs), faculty (at least 250 FTEs short for today’s clinical volume), faculty offices (550 too few today), etc. We also fear that we may be too small to matter in the grand scheme of health care as it is evolving nationally in the face of the Affordable Care Act and the consolidation of networks. In spite of all these problems we are still pretty good compared to our peer institutions as things stand, although modest impending changes in our health system structure and governance will likely bring us much closer to realizing our potential as an unsurpassed integrated health care system and academic medical center – an effective team, a leader, and one of the few truly best. At the University of Michigan we often refer back to our great coach, Bo Schembechler, for his inspiring phrases, notably: “The team, the team, the team.” A fellow great coach, Vince Lombardi who died 45 years ago as of yesterday, echoed some of the ideas of Adam Smith the lead quote this month. 2. September began last Tuesday and meteorological autumn in the Northern Hemisphere starts this month. Farmers traditionally begin the harvest, schools come into session, and the workday, as we noted, becomes a little more serious. Labor Day anticipates the seasonal transition and brings to mind Adam Smith who famously observed (with the examples of the butcher, the brewer, and the baker) that civilization requires specialization of work, although two millennia earlier Hippocrates made a similar recognition that medical practice requires specialization. In the Hippocratic world that first particular brand of work happened to be urology, manifested back then as lithotomy – the cutting for (bladder) stone. Were Hippocrates to visit us today at UMMG in a time machine, the only specialty he would recognize out of the hundred plus areas of practice would be urology – the single specialty he deferred to “specialists of that art.” The knowhow involved with cystolithotomy was rightly described as an art, just as the practice of medicine today is often still called an art. Artists go even further back in time: cave-dwelling paintings, long before Hippocrates, prove visual artists were among the earliest branches of the human labor force. 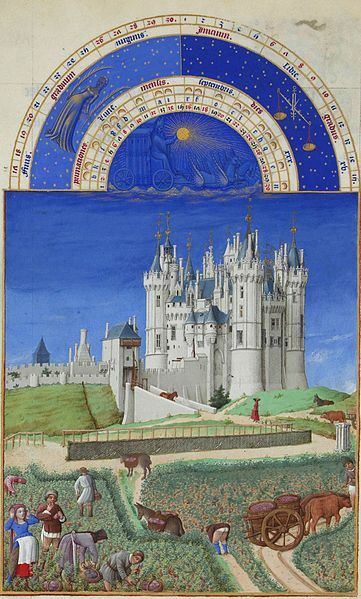 We previously have commented on the beautiful monthly panels illustrated by the Limbourg brothers in a book of prayers called The Très Riches Heures du Duc de Berry. Brothers Herman, Paul, and Johan were Dutch miniature painters from the city of Nijmegen active in early 15th century in Europe. Like Diego Rivera, closer to our time, the brothers travelled to the best sponsors who could commission their art. In 1416 the artists and the Duke of Berry died abruptly (likely from a plague pandemic) and their ambitious Très Riches Heures was completed by others. The September panel, shown above, features a harvest with 5 people picking grapes, while a man and pregnant woman seem to be supervising (the managers?). The grapes are placed in baskets, transferred to mules, then moved to oxen carts. Presumably the actual wine-making processes took place within the castle walls along with other trades and crafts. A fair degree of work specialization was evident at the Castle of Saumur there in the France’s Anjou wine region. Worker productivity was of immediate concern to the Duke or whoever was in charge of the castle, with carrot and stick as the time-honored means of motivation. It was over 500 years later in France before the rights of workers achieved their due attention. The head rolling of the French Revolution was evidence of the disequilibrium between workers and those in charge of them, but it was not until 1864 that French workers obtained a legislated right to strike and in 1866 the right to organize. Louis-Napoleon Bonaparte, nephew of his namesake, was the force behind these workers’ rights. His big moment had come in 1848 when the February French Revolution (an aftershock of the big one in 1789) allowed him to change places in exile in England with the deposed King Louis Philippe who had lost the trust of the citizens. Louis-Napoleon then became France’s first president by popular vote in February, 1848. 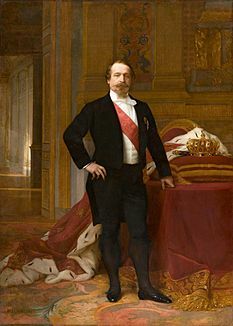 When his term of office ended in 1852 and he found a second term blocked by the Constitution and Parliament, Louis-Napoleon conveniently organized a coup d’etait, re-naming himself Napoleon III and reigning as Emperor until 1870 (coincidentally wrapping up that term on this calendar day – September 4). 4. In the heyday of industrialization some types of work were especially dangerous and abusive, although workers had little recourse to ask for safe conditions or fairness. Labor unions arose to occupy the need to balance the worker and employer disequilibrium. Labor Day, to be celebrated next Monday, is a marker for this necessary balance. Forward-looking businesses today embrace the belief that workers themselves are the best source of workplace knowledge and have the best motivation to make better products, with greater efficiency and greater satisfaction for critical stakeholders. This idea is intrinsic to lean process systems that represent the newest evolutionary step in the human labor force. Enlightened leaders have come to realize that the health and happiness of workers are linked to productivity, but more importantly are human rights as well. Unionization of dangerous occupations makes more sense than unionization of less risky trades – think mine workers versus postal workers – yet, work is work and few can argue that any worker can be abused by any manager or any system. The recent exposé of alleged management abuse of workers at Amazon illustrates this point. Nonetheless, unionization of white collar cognitive professions takes some explanation for, by their very nature, professions have their own intrinsic protections. When professions are commoditized, however, and their members believe themselves treated poorly, unionization becomes a rational step. Unionization of professions might not be necessary in a perfect world, but this world is far from perfect. The Eastern Michigan University faculty are unionized, for example, while the University of Michigan faculty are not. 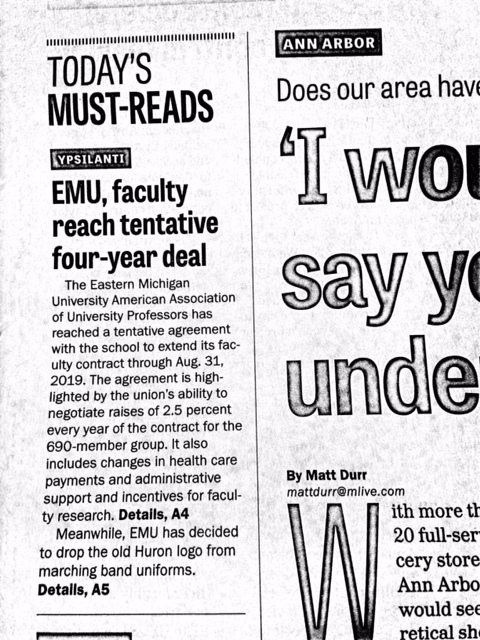 While I am no authority on the EMU story, that particular unionization was likely a direct result of faculty grievances against past administrations. At the University of Michigan, though, the nurses, houses officers, many hospital employees, graduate students, and lecturers are represented by unions. The bottom line is the old story that power has a corruptive tendency and a just equilibrium must exist between labor and management. Administrators and leaders can become self-important and smug (urology chairs are not immune). In the words of the respected Stanford business professor, Robert I. Sutton, some managers are worse than jerks, if you accept the use of his term in his book title. 5. All people, governed or managed, need to believe that they are being treated fairly and that their voices are taken seriously by leadership. No employee can expect to agree with all organizational decisions, but an overall sense of fairness and responsiveness to individual opinion must pertain. Fairness is a fundamental human belief, evident too in many of our fellow primates plus some other mammals, but unique for humans among the eusocial species (bees, ants, etc. ), as mentioned here last month in regard to E.O. Wilson’s work. Beliefs and language govern us with greater sophistication than the governance by pheromones and patterned behaviors of the other eusocials. We shouldn’t disparage pheromones, however, as they provide colonies the ability to react to observations of its individual members monitoring the challenges and opportunities of the environment. In this way the colony becomes a superorganism. We humans have infinitely greater communication tools to govern and regulate ourselves using facial expressions, noise, language, audible conversations, writing, music, visual art, customs, manners, beliefs, laws, and other ways of conveying information. When the public shares a general perception of fairness, civil harmony is likely to pertain, if not hell can break out. Just as corrosive to society as abusive work, perhaps even worse, is the inability to find work. A few weeks ago I heard the author Walter Mosley being interviewed on NPR by Renee Montagne about his experiences as a 12-year old boy in Watts during the riots of 1965, just 50 years ago. Mosley said, simply: “You could feel the rage” – a statement capturing the raw emotion that exploded on the streets after a young man was arrested for drunk driving. [NPR. Morning Edition. Renee Montagne: Walter Mosley remembers the Watts Riots. August 13, 2015] Ten years after the riots I rotated from UCLA to Martin Luther King, Jr. Hospital in Watts and the effects of the riots were still present physically on the streets and emotionally among the people. My time at MLK was personally and educationally a good experience, I liked the hospital and its gritty esprit d’corps. It was quite a contrast to UCLA’s upscale Westwood campus. The full time staff at MLK felt a part of the community, where the daily struggles were still too often very raw. I didn’t fully understand the rawness then. A new book, Between the World and Me, by Ta-Nehisi Coates however, brings one closer. 6. The first French Revolution of 1789-99 was not the only time in history when it people’s opinions mattered and we see evidence of the power of public opinion again and again. Wise political leaders, administrators, and managers understand that protests, strikes, riots, civil disobedience, or revolutions are unfortunate recourses when public opinion and leadership clash. Political lobbying, referendums, and orderly change of representational governance are more civilized, kinder, and less wasteful. 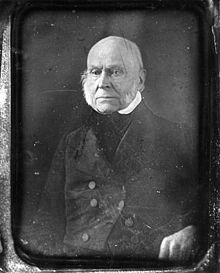 Opinion surveys are another tool to understand stakeholders, with the first documented opinion poll occurring in 1824 when a Pennsylvania “straw poll” found Andrew Jackson leading John Quincy Adams 335 to 169 in the presidential race. Jacksonian democrats thought they had the election in the bag. A straw poll is a figure of speech referring to a thin plant stalk held up to the wind of public opinion to see which way it is blowing. George Gallup in Iowa in 1936 added science and statistics to the methodology of opinion sampling. Elmo Roper and Louis Harris entered the field of predictive polling around that time. 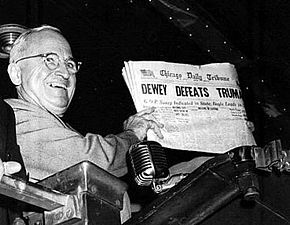 Perhaps the darkest day for that business was the mistaken prediction of Thomas Dewey’s “defeat” of Harry S Truman in the 1948 presidential election by 5-15 percentage points. Although Gallup explained his error by noting that he concluded polling three weeks before election day, his humiliation endured, demonstrating to us once again that numbers are mere human inventions that may (or may not) approximate reality. All data must be viewed with suspicion, no numbers or numeric manipulations are sacrosanct. Some thoughts on surveys, but first, a disclaimer: I don’t like spending time on surveys and am quick to delete requests for them in my email. Personal bandwidth in this “age of information” is crowded and in clinical medicine the crowding is especially intense. Last winter I decided to try to list email requests for surveys consecutively over the prospective calendar year, but my effort lasted less than 3 weeks. I gave up after more than 2 dozen such well-intended requests whether from the medical school, the health system, the university, colleagues from other institutions, my professional organizations, etc. The proliferation of surveys, however, is not a bad thing, but rather a reflection of democratic society; others care what we think. Many stakeholders in our work and community want to assess their services to us and hope to discover our opinions of their contributions. The fundamental problem is not their curiosity, but rather our limited bandwidth. No one can satisfy all the requests: you must pick and choose. 7. 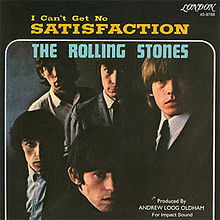 Just about 50 years ago at this time of year, the Rolling Stones released their hit song “I can’t get no satisfaction.” Written by Mick Jagger and Keith Richards the lyrics referred to sexual frustration and commercialization. Who would have believed that 50 years later the matter of satisfaction in health care (on the part of patients, providers, and employees) would be major matters of national attention? When I was an associate dean, Gil Omenn and Doug Strong asked me to create a faculty satisfaction survey. After a few reminders, I did this with Skip Campbell, aiming for a very brief set of less than 10 questions to assess satisfaction of the faculty regarding their work and environment. To convince faculty to fill this out we sent out a cogent personal initial request with a few reminders and provided a generous window of time. The response rate turned out quite good. Widespread dissatisfaction was discovered concerning the faculty’s ability to deliver the clinical care they deemed appropriate. This data was an important factor in shaping the transfer of ambulatory care management from the hospital administration to a “faculty group practice.” The information obtained also gave the dean an ability to assess the general “faculty temperature” and understand relative degrees of satisfaction in each department. Since then, the faculty satisfaction survey has been shaped to ascertain more granular information at specific worksites and it has grown in size and complexity. Currently at Michigan we have a number of additional “satisfaction” surveys, but the following ones affect us most directly. a.) Faculty satisfaction survey. Take this one seriously – it is important to us. Variances from our past numbers or from other departmental data are analyzed carefully by the dean, leadership, and our fellow departments. b.) Employee satisfaction survey. This gauges how the tens of thousands of employees in the medical school and health system view their work lives and work places. We examine the details at many levels in our administrative hierarchy. The dean also discusses this data with chairs in the yearly evaluation process. c.) SACUA administrators survey. This comes from the University of Michigan Faculty Senate and queries faculty about their immediate administrators (in our case, this is me) and all the others in the long line to and including the president. Medical School participation in this has generally been weak, perhaps indicating faculty sense of remoteness from the central campus. d.) Patient satisfaction surveys are increasingly tied to clinical re-imbursement. Initially the UM Health System used Press Ganey surveys of patient encounters. This company has a 30-year history of healthcare experience and the consistency of data was useful for year-to-year comparisons, but we are now constrained to switch to the HCAHPS (Hospital Consumers Assessment of Healthcare Providers and Systems) survey, provided by vendors on behalf of CMS. The change disconnected us from our historic data. HCAHPS queries a random sample of patients 48 hours – 6 weeks after discharge and asks 27 questions related to their hospital experiences. e.) Those pesky reputation and quality surveys. The US News and World Reports surveys not only rescued a dying newsmagazine, but also galvanized attention and resources of every major health care system and medical school in the country. How do we stand in 2015 national rankings? Our Department of Urology is number 10 nationally. Our Medical School stacks up as #5 for primary care and #10 for research. Our Hospital ranked number 10 in pediatric specialties and number 11 in adult specialties (in spite of our stubborn determination over the past 16 years to avoid joining the “nurse magnet hospital” list). Recent “quality” ratings such as ProPublica are attracting attention. These low hanging fruits of public data commercialization to date offer incomplete information and lack meaningful context. While these products may have commercial and titillational value, on the scale of meaningful data so far they set the bar at the left end (near zero) of the Likert Scale. By the way, the originator of the Likert Scale, Rensis Likert, was a UM alumnus who died 34 years ago as of yesterday (September 3, 1981) at age 78 of bladder cancer here in Ann Arbor. He is buried at Forest Hill Cemetery, just a short walk from our offices. More on him in a future What’s New/Matula Thoughts. 8. It is wonderful to see a resurgence of high quality labor in Detroit and Shinola is a premier example. 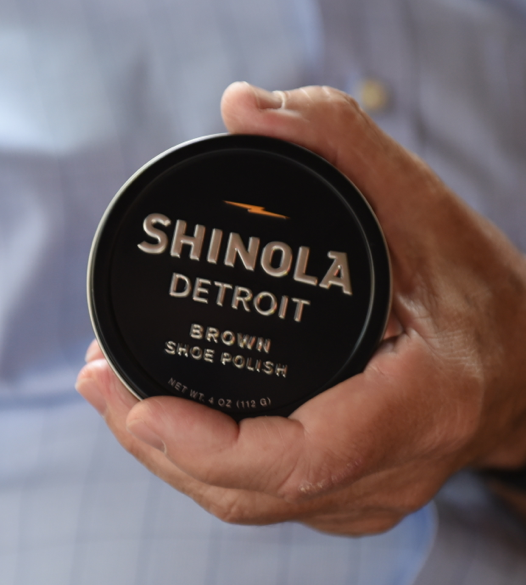 Shinola shoe polish originated as a brand in 1907, was trademarked in 1929, and became popular during WWII. 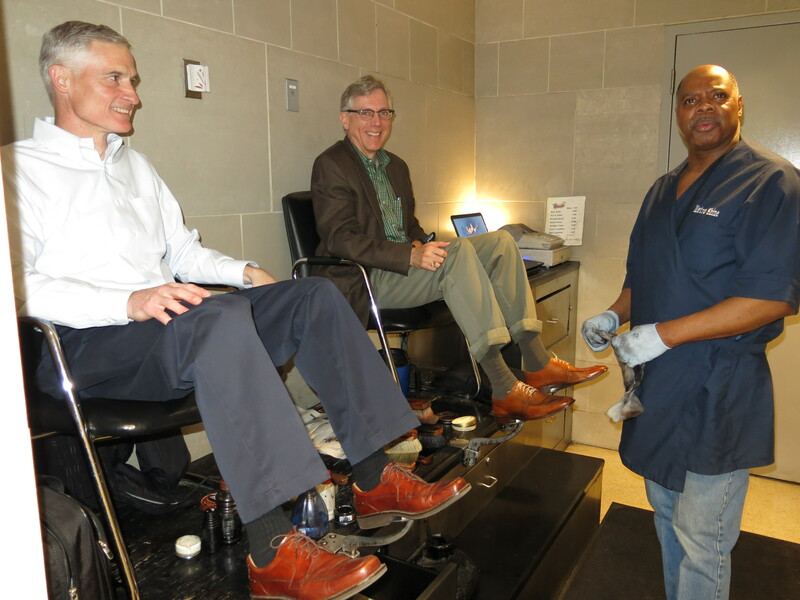 Anyone who was in the military then and for a generation thereafter usually had a can of shoe polish at hand because shoes were expected to have a high shine, outside of combat conditions. A spit shine was literally obtained by spit. (When I was in the Army, however, newer permanently glossy black shoes became available and all you had to do was wipe them clean.) During WWII a colorful phrase developed around Shinola, although its author will probably remain forever unknown. The phrase compared Shinola to a bodily output usually more formed than spit, although much less acceptable in public, even at baseball games or on sidewalks. The phrase established a basic measure of intelligence as the ability to discern that aforesaid product of elimination from Shinola shoe polish. The concept was captured beautifully in a scene in the classic film, The Jerk, with Steve Martin. [The Jerk, 1979, Directed by Carl Reiner] Anyway, in 2001 a venture capital firm in Dallas, Bedrock Marketing, acquired the name Shinola and began manufacturing watches, bicycles, the shoe polish, and leather products – all made in America and usually in Detroit. The company also produces a high-quality note pad that, unlike that of most competitors, has paper that doesn’t “bleed” with fountain pen ink. The pads are made here in Ann Arbor by Edwards Brothers-Malloy. Shinola headquarters in Detroit is in an Alfred A. Taubman Building. Of course that building’s name is well represented on our University of Michigan campus and especially in the medical school. Alfred passed away last year after an extraordinary life that continues to impact us so positively on our campus. 10. Historically in the University of Michigan Health System, as well as at most other large health care systems, health care workers labored in disequilibrium with administration. All well-intended specialists in the health care labor force (physicians, nurses, managers, residents, hospital employees, researchers, administrators, unionists, etc.) pushed their agendas, but too often the ultimate agendas of patient care, education, new knowledge, and worker satisfaction were side-tracked. Full and effective faculty participation in the daily management of clinical work as well as strategic planning and deployment was an idea advanced here in the 1990s by Mark Orringer, but soundly rebuffed by the dean and hospital administration back then. The concept had legs, as it might be said, for it is a sensible Darwinian evolution and certainly in tune with the modern industrial ideas of lean process systems. The Faculty Group Practice (FGP) emerged around a decade later and has proven successful in its limited application to our ambulatory (outpatient) activities. In practice, however, the division of clinical work into ambulatory and in-patient spheres is artificial and ultimately counter-productive to our real goals of clinical excellence, safety, efficiency, ideal patient experience, education, new knowledge, and ultimate job satisfaction for all employees. With our current EVPMA, Marschall Runge, we sense new alignment of our health system structure and governance. (Marschall, by the way, is the grandson of a 1918 UMMS alumnus.) 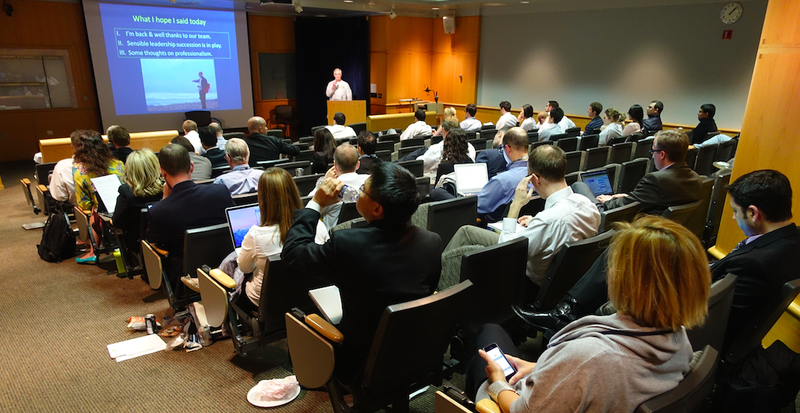 The FGP, now the University of Michigan Medical Group (UMMG), hopes to be a cornerstone in the alignment of all essential facets of our academic medical center to fulfill those elusive goals of clinical excellence and mission optimization as mentioned above. We should be able to accomplish this here at Michigan as well or better than any other place on the planet. Our history has set that precedence, our people are as good as they come, and we have, I hope, the collective will and drive to come together and get it done now that September is here. Best wishes, thanks for reading What’s New/Matula Thoughts and happy Labor Day.